Turkish Airlines on Tuesday signed a sponsorship deal with American professional football club Indy Eleven, based out of Indianapolis, Indiana. 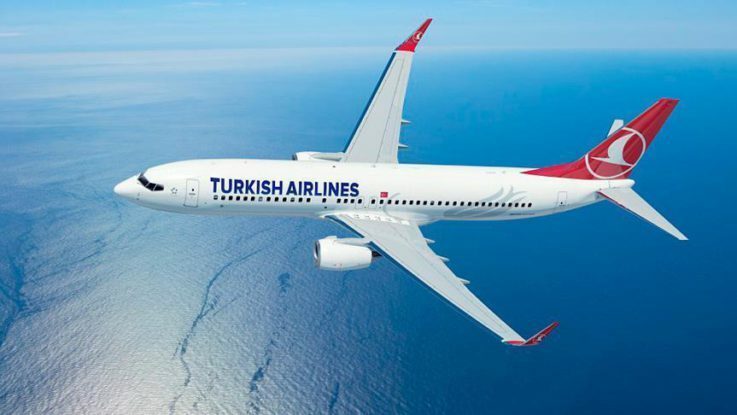 The agreement sees Turkish Airlines become the official international airline partner of the club which plays in the North American Soccer League. “As part of the agreement, Turkish Airlines will serve as the first jersey-back sponsor in Indy Eleven history, with the airline’s logo set to debut on the club’s kits starting on Saturday, when the ‘Boys in Blue’ kick off their fourth season of play at the San Francisco Deltas,” a statement read. Turkish Airlines’ chairman, Ilker Ayci, said: “As Turkish Airlines network grows every day by offering more and more services, we are delighted to have this partnership with Indy Eleven. “We truly believe sports has the ability to unite cultures and nations, therefore we are glad to be a part of this partnership,” he added. “The business of soccer continues to grow rapidly in the United States, and Indy Eleven is proud to be in cooperation with Turkish Airlines as the airline further establishes itself in America,” said Ersal Ozdemir, owner of Indy Eleven. “This partnership will expand the reach of Indy Eleven’s growing brand across the United States and the world,” he added. Tuesday’s deal adds to Turkish Airlines’ growing portfolio of sports sponsorship. Europe’s top-flight club-basketball competition — the Turkish Airlines’ Euroleague — will retain the company’s name as title sponsor until 2020. Domestically the airline is the official transport partner of Turkey’s national football team and Turkish clubs Galatasaray, Besiktas, Trabzonspor, Basaksehir, Bursaspor and Konyaspor. Between 2015 and 2016 the company was the kit sponsor of Bosnian football side, FK Sarajevo. Meanwhile, the flag carrier also has a three-year deal as main sponsor of the European Rugby Champions Cup and the European Rugby Challenge Cup. The airline was also an official partner of the UEFA Euro 2016 competition held in France, a first in the tournament’s 56-year history.